Junior Colleges are a brutal time for most of us, the time when they stop calling us kids and claim that we are by now, young adults. So by the time we graduate from secondary schools, teachers thought we ought to have also graduated from farting jokes and throwing wet toilet papers up onto toilet ceilings. However, I guess the creative part of us just never grew up. Instead, our pranks matured into actions more daring and rebellious. Here are 3 legendary pranks Pioneer Junior College students played on their teachers and left their mark in PJC forever. The canal walk leading up to the forested path and the old railway tracks (now torn down) was the constant talk of the cohort due to frequent paranormal sightings. One late dusk Friday, students using the forest trail noticed something staring at them from under a tree – a creepy smiley doll with a broken arm. The next morning, the doll was gone. It had moved to the headstone of the bridge separating the wide canal behind the school. It was beheaded and her head was sitting eerily by her side, wearing the same evil smile. 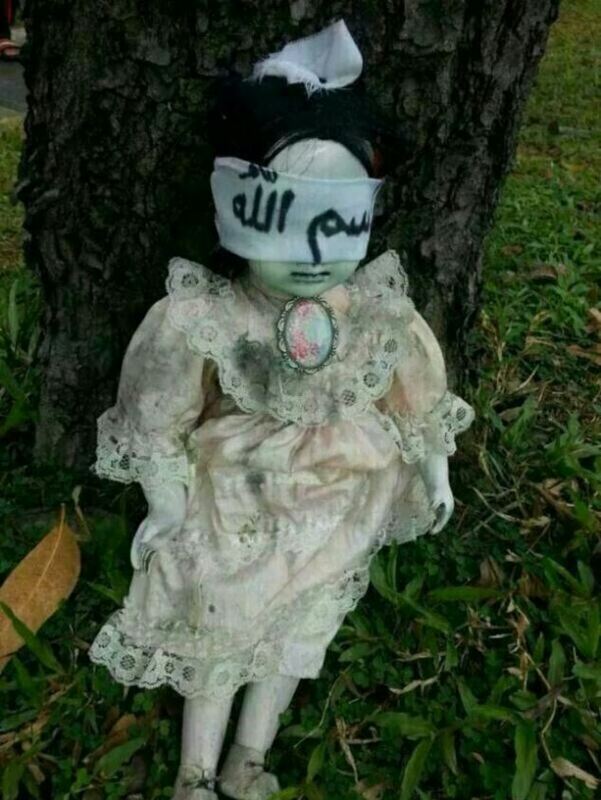 On the third day, the doll had moved again. This time, she hid, wet and hideous, in the pigeon hole of a particularly outspoken and not very well liked teacher. His screams could be heard from the first floor office. It was FIFA season and the boys were hyped. One of the overly excited boys decided to declare his undying love and loyalty to his football club and decided to do it the glorious way. During assembly, the boy walked to the microphone and suddenly pulled out his vividly printed life sized Man-U flag, waving it wildly while singing “Glory, glory, Man United” to a cheering crowd. He was pulled off the ramp in the most glorious way. Do you know about PJC’s resident cats? An orange tabby cat and a skinny grey cat; often seen roaming around the container classrooms and basketball court. Well, bet you didn’t know they were accomplices in one of the most hideous school pranks that made a female Chemistry Teacher cry. Well, she was a nice and friendly Chemistry Teacher, but a student decided to give her a surprise. As she was the last to leave the container classroom after class, the students introduced the 2 resident cats into the kill zone and closed the door. Screams ensued for the next 5 minutes. Finally, a teary, mascara-smeared Teacher emerged and returned the surprise – 2 days of detention. Disclaimer: This article is written by a former PJC student and as such may not reflect any happenings or incidents in PJC in recent times.